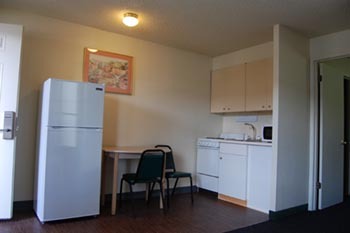 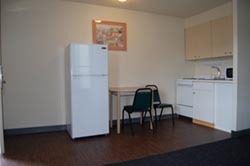 The Kitchenette Room has separate living spaces like our Suite Room, but also has a kitchen with full size fridge. 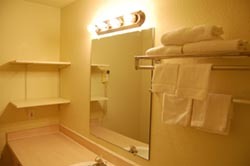 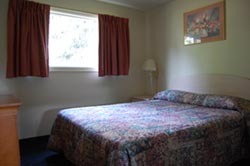 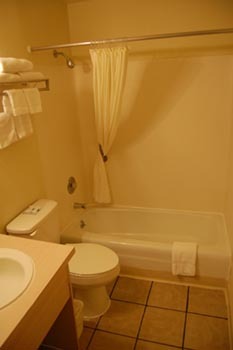 A queen size bed is in the adjacent bedroom along with the full size bathroom and closet. 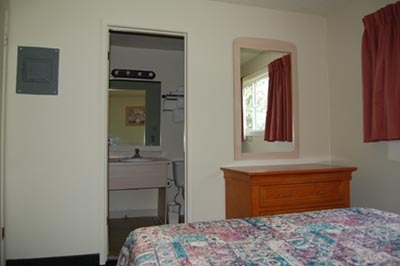 These rooms are limited and are difficult to come by. 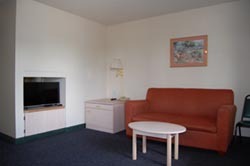 Please contact us in advance for availability and reservations.